Zhijin Natural Bridge in Guizhou Province, China. 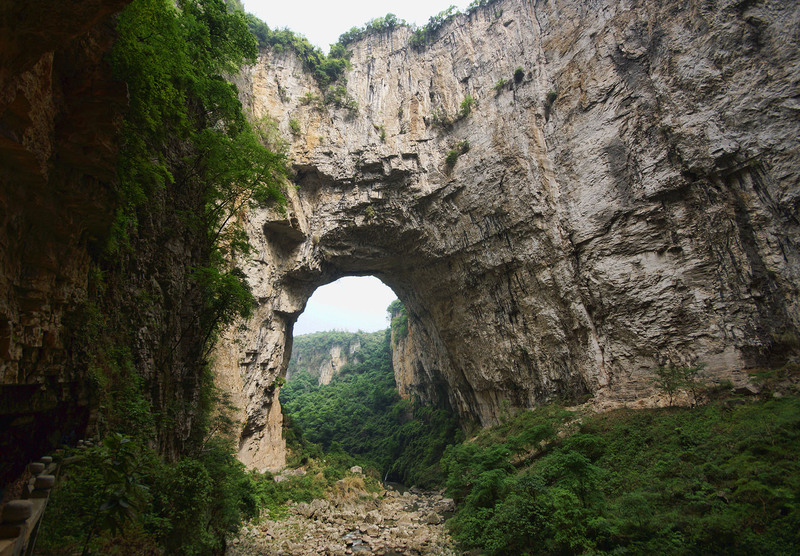 Zhijin Natural Bridge is in limestone karst and has a span of 340 feet as measured with a laser rangefinder by NABS member Gunter Welz in 2015. It is located in the Guizhou Zhijin Cave Scenic Area in Zhijin County, which is part of the Bijie Prefecture in Guizhou Province, China. Zhijin Cave is considered by some to be the most magnificent cave in China. 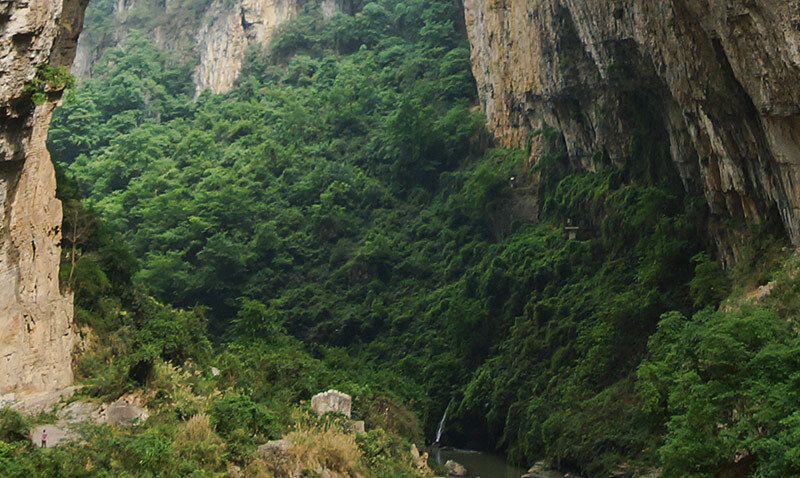 This tourist area is about 23 km (14 mi) northeast of the county town of Zhijin and 166 km (103 mi) west of the provincial capital and largest city, Guiyang. Below is an enlargement of a section of the photo above — note the person standing in the lower left corner for scale!